Toddler children of both genders wore the same style of clothing with only slight variations, including changes in article colors. 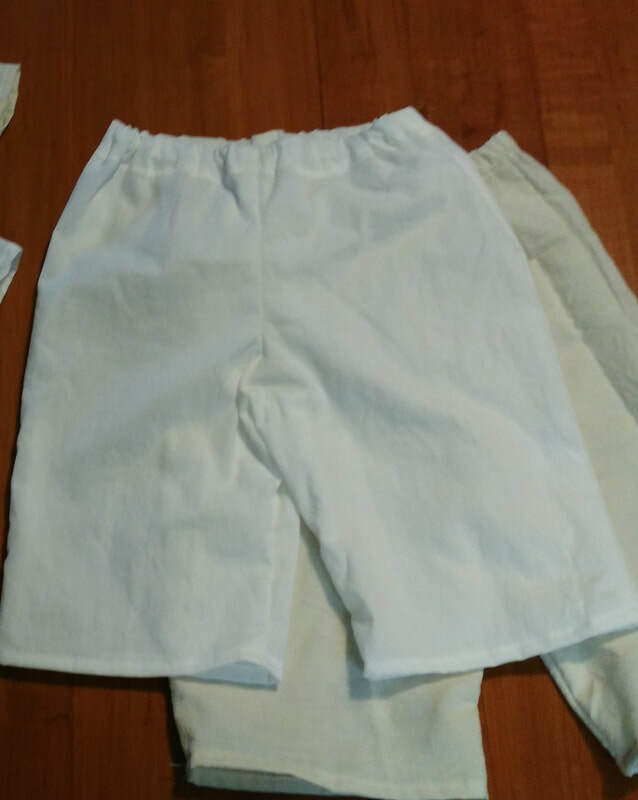 Underpinnings are all solid colors made from simple muslin or broadcloth. White is the predominant color, but others are available upon request. ​Custom orders only. Chemise top with attached petticoat bottom. Adjustable drawstring neckline and buttoned back waist. Approximately knee length. For young boys and girls. Given the custom-made nature of this article, please allow 2-3 weeks for completion and 3-10 days shipping time. You will receive an email with tracking information when your package is shipped. 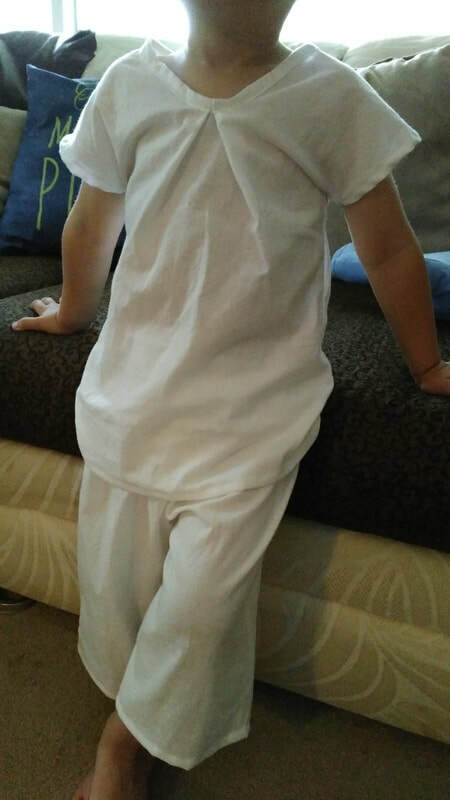 A simple frock for both young boy or girl. Made of broadcloth, calico, or homespun. Please leave note at checkout for desired fabric color and style.